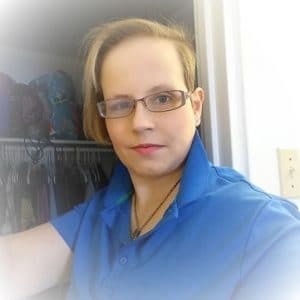 Karen Anne Martin, age 39 of Pittsburgh, PA formerly of North Carolina went to be with the Lord on Saturday, April 6, 2019. Born on January 18, 1980, she was the daughter of Paul and Denise Martin. Loving sister to Justin (Nikki) Martin and Kimberly (Tom) Bridge. Dear aunt to 4 nieces and 3 nephews. 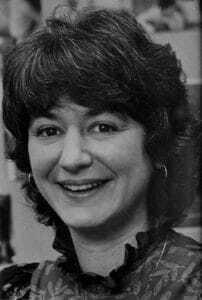 She is also survived by her maternal grandmother Lorraine Meglio and aunts, uncles, and cousins. Karen was preceded in death by her maternal grandfather Emil Meglio, and paternal grandparents Hunter and Frances Reinburg. Karen had a passion for Star Trek and enjoyed playing her instruments, singing, reading, and creating art. She was also dedicated to her faith and will be dearly missed by all. A special note of love to her best friend. Even through death, Karen continued to take care of others through donating her body to further scientific research. Therefore, in lieu of flowers, the family asks that memorial contributions be made in Karen’s name to St. Jude’s Cancer Research. 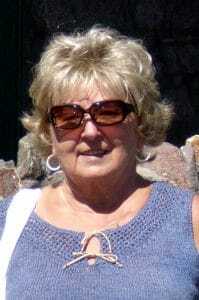 Please view and sign the family’s online guestbook atwww.pittsburghcremation.com. Karen, my thoughts and prayers are for your family now. You once told me about your long hair before the cancer. I hope you've got that long beautiful hair back in heaven. Karen anne...you are already missed..so happy we got to spend time with you your last few days here on earth...Autumn felt the same way...hope you and Jesus were standing together watching how beautiful your celebration of life service was...so glad we were able to be there to share with others the beautiful blessing you were to so many people...truly the bravest and strongest person I know...we all should take a lesson from how much you forgave and loved others and gave of yourself the extent that you were able....we love you! Karen you had the greatest laugh and the most beautiful smile. When we were younger we had so much fun together. Your the strongest person I know. I know your in heaven enjoying freedom from pain and struggle. I am truly blessed to have known you. You are an inspiration to me of perseverance, endurance, and strength. I love you and will miss you greatly. Till we meet again. Denise and Paul and family thank you for allowing me to say goodbye and to tell her I loved her. Please know that you all are in my thoughts and prayers. I pray that God will bring peace and comfort to you all. Paul and Denise you had a special daughter. I will always remember her calling me momma Tracy. She was strong and courageous. She was loved . I’ll miss you Beautiful . But I’m so thrilled to know you are no longer sick. Denise and Paul, you have raised such a special and kind hearted young lady. Our hearts and prayers go out to you in this time of sorrow. She is now in a place to watch over and protect you. God's love is strong and it is faithful. So sorry, Denise, for all the suffering your daughter suffered. Losing a child is every mother’s nightmare as they are all so special to us. Love to you. We are sorry for your loss. We know that Karen is in a better place now. Pain free. We love you guys. She is home. but prayers for you my friends Paul and Denise, I know you will miss her.